Nobody wants to be in debt, and nobody likes paying interest on a loan for longer than necessary. Unfortunately, paying off a car loan feels like it takes forever—month after month, the balance hardly seems to go down at all. If possible, it’s better to pay off a loan quickly, which may not be as hard as you think. Below are a few easy steps to take so that you can pay off a car loan faster. It’ll save you money in the long run because you won’t be sending extra money for those pesky interest amounts, and you’ll free up money to use for other things. Paying off a loan faster will also improve your credit score. Knowing exactly how much you owe can make a huge difference in how you go about paying off your loan early. For example, if you only have about $3,000 left to pay off, you may be able to pay that in several large payments. On the other hand, if you still owe $24,000, using another strategy may be more practical. Step 1: Gather balance information. Gathering balance information ahead of time helps you determine the best strategy for paying off your loans early without accruing any penalties. The most convenient way to check your balance is to look on your monthly statement or check your online banking account. It is always a good idea to understand the terms of your lease. There may be hidden fees or penalties associated with your repayment schedule. The best way to approach this is to contact your lender and ask them to review the terms of the lease with you. You can also request a copy of your loan terms so that you can review it on your own time. Step 1: Know how long you have to repay your loan. Making sure you know how long you have to repay your loan will affect the total amount you’re paying overall on the loan. Step 2: Learn about penalties. Find out if there are penalties for paying off your car loan sooner than expected. If your lender is going to lose money on interest because you pay off your loan faster than the term of the loan, then there might be a penalty. Step 3: Learn about interest types. Make sure to do your research on the different methods of calculating interest and the way it is calculated on your loan. 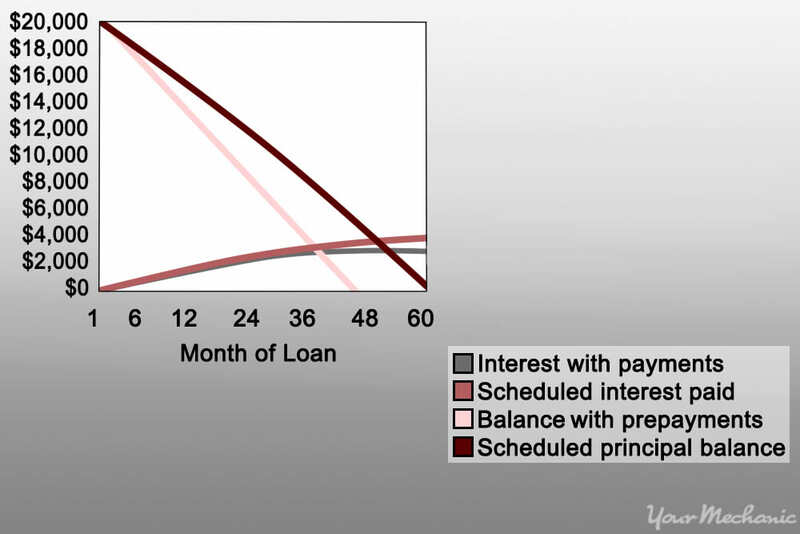 Simple interest is interest charged each month based on the current balance. If you have this type of interest, there may be a fee for paying off your loan faster because the lender will lose money on interest that would have been collected. Add-on interest adds the interest amount for entire loan and spreads out those payments over the course of the loan. Paying off a loan with this type of early won’t save you money on interest because it’s already been calculated into the monthly payment. Rounding up your payments will increase the amount of money you send to the lender each month and cut down how long it takes to pay back your loan. Step 1: Calculate your rounded up payment. The easiest way to do this is to round up to the nearest 100 dollars when you make a monthly payment. Use a calculator tool to determine how much money you’ll save by rounding up your monthly payments. For example, if your monthly payment is normally $342, send $400 instead. The extra $58 dollars will be applied to the principal and you’ll end up paying off your loan months in advance. Step 1: Make your monthly payment every two weeks. Making your monthly payment in two installments can be better than sending one payment per month. Why? If you send in half the monthly payment each time you get paid, you’ll end up making 26 payments over the course of the year. That equals one extra monthly payment per year, which means you pay less in interest over the lifetime of the loan. Refinancing your car loan may help you pay off the loan faster because you’ll be able to secure a lower interest rate. Step 1: Use a refinancing calculator. 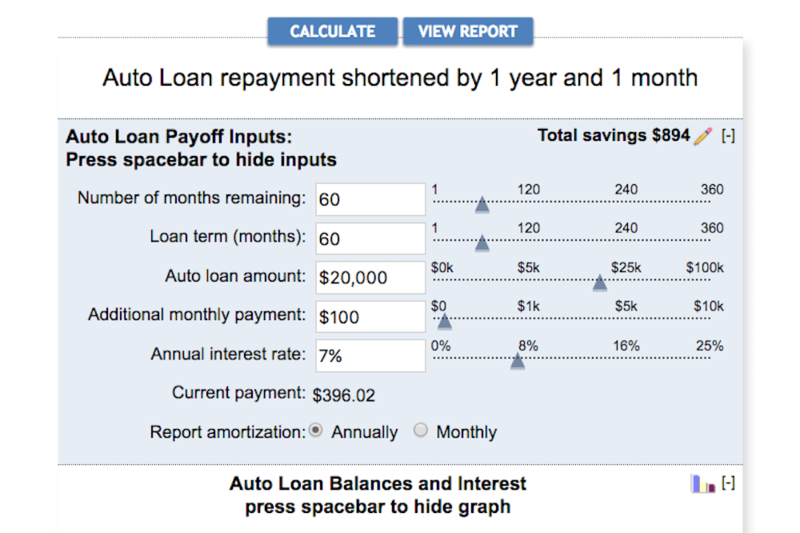 Use a refinancing calculator like the one found here. This will help you to determine how much you’ll save on your monthly payment as well as how much you’ll save in interest over the life of the loan. Tip: Make sure you don’t extend the length of your loan for too long just to get a new lower monthly rate. Often, refinancing will lower your monthly rate but the new length of the loan will be longer so you end up paying more in interest in the long run. Step 1: Apply extra money to the loan. Use any additional funds to help cover your loan. Occasionally throughout the year, you may receive a large sum of money, such as a gift, work bonus, or income tax return. Applying this extra money can take a large chunk out of your principal loan balance. This helps you pay off the loan sooner than expected. Tip: Normally, you’ll be paying more each month in interest than you’d earn if you left the money in a savings account. Use your extra money to pay down your car and loan and you’ll end up saving money. If you don’t expect a sudden windfall of extra money anytime soon, finding secondary sources of income can generate extra cash that you can use to increase your monthly payment, decrease the principal balance of your car loan, and save you money in interest. Step 1: Generate extra income. Finding ways to earn a little extra money can go a long way to helping you with your loan. Some examples of how to generate extra income include selling items on eBay, picking up a part-time job, and starting your own business on the side. Creating a budget can help you see exactly where all of your money goes each month. Setting strict amounts for a budget may help you free up some money that you can apply to your loans. Step 1: Use a spreadsheet to create a budget. Websites like mint.com have budget templates here that can be helpful. Step 2: Figure out how to cut back on spending. Add up what you actually spend each month on your regular expenses and determine if you can cut back. Some easy ways to cut your expenses are cooking at home more often, bundling your internet, cable and phone bill, and eliminating unnecessary costs. Step 3: Apply the extra money to your car loan. Once you have determined any extra money you can save, apply it to your car loan payment. Step 1: Use money from another another loan. 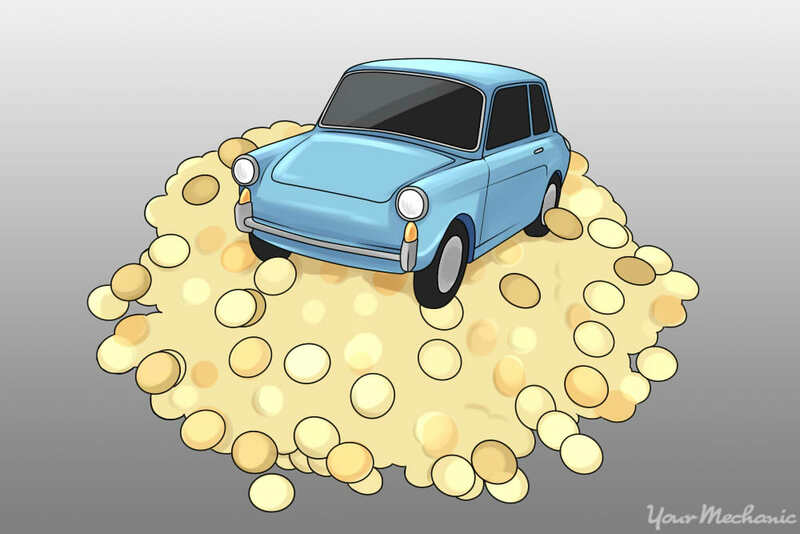 After paying off another, higher interest loan, apply the money you normally send to that loan to your car loan. For example, if you normally apply $150 to your credit card, and you’re able to pay off the card during the course of the year, use that $150 that you’ve budgeted each month and apply it to your car loan. You won’t notice any change in your monthly budget, but you’ll be paying off your loan faster. Tip: Try to pay off high interest loans before lower interest loans. The higher interest loans are costing you more each month, so it’s better to get those out of the way, and then apply the extra money to a lower interest loan like your car loan. These are various ways to pay off a car loan without undergoing huge lifestyle changes. You can be financially wise and enjoy the freedom of not having a loan in the back of your mind. Be sure to have your car regularly serviced so your loan payment is worth its while. One of our certified mechanics can perform everything from oil changes to battery replacements.